Preheat your oven to 450 degrees. 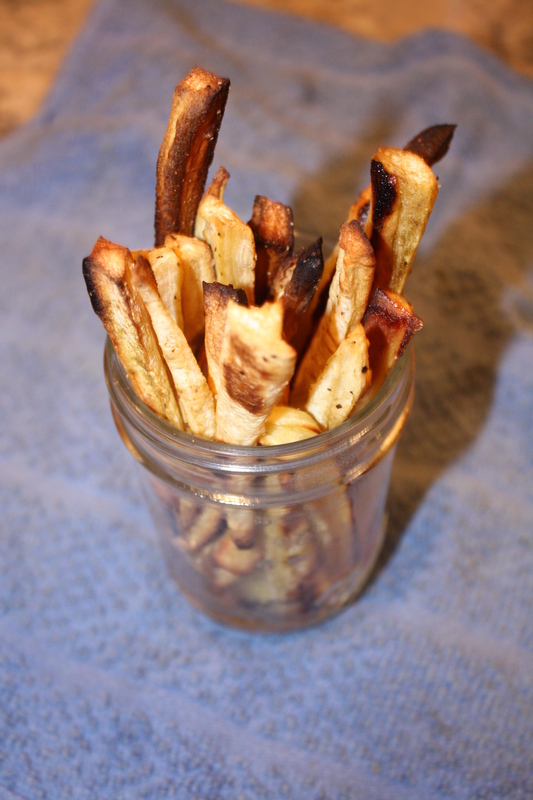 While the oven is pre-heating, peel and slice your parsnips. Add them to a mixing bowl and drizzle your olive oil over. Sprinkle your spices to your liking and mix, trying to cover all of the pieces. Place evenly on a baking dish in one layer. Cook for about 25 minutes (possibly longer if your cuts are thicker) flipping half way through. And that’s all folks! Enjoy! 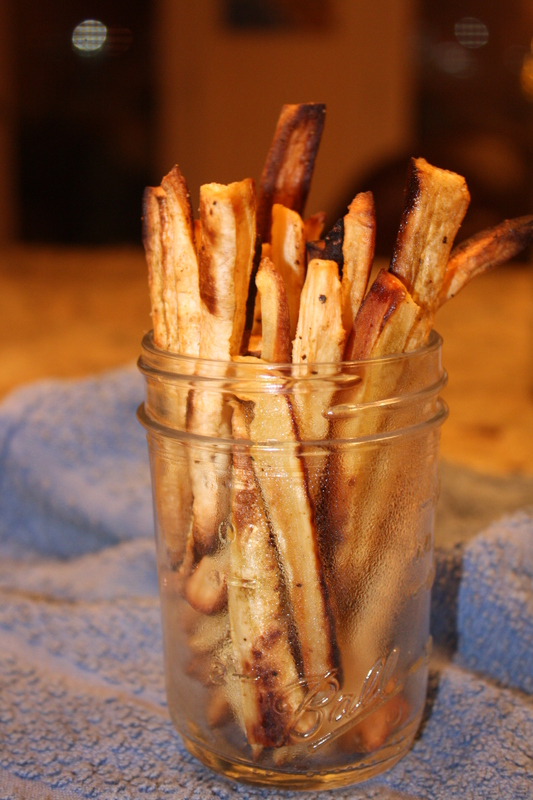 What are your favorite ‘fries’? these look fab! Thanks for sharing.